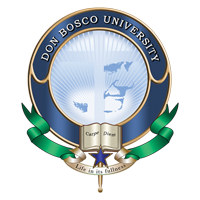 The Rector Major and the General Council of Don Bosco Society gave the final approval to proceed with the project of establishing the university on 10th January 2007 (Approval No. Prot. 015 dated 10th January 2007). 2007 saw hectic activity to get the project off the ground - endless meetings of 'ad hoc' committees, 'core' committees, finance and fund-raising committees, drafting committees, short-listing and hiring of consultants, preparation of Detailed Project Reports, search for suitable land, etc. It culminated in a presentation of the project to the Hon'ble Chief Minister of Assam, Shri Tarun Gogoi and his cabinet colleagues and top government officials on 23rd October 2007. We were delighted with the enthusiastic welcome that our proposal received on that day.